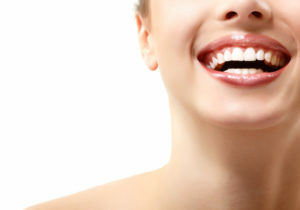 Having a beautiful smile is all about the appearance of the teeth in the front of the mouth. It’s not uncommon to have a gap between the top two — but we know it’s still something you would probably like to fix. Fortunately, your options in cosmetic dentistry are better than ever before. In this week’s blog, we present three methods for fixing that gap: direct bonding, dental veneers, and Invisalign in Carrollton. If the gap between your front teeth is accompanied by more significant dental misalignments, like overbite, underbite, or crossbite, we may recommend orthodontic treatment — but that doesn’t necessarily mean metal braces! Invisalign is a clear aligner system that repositions the teeth using a series of sturdy plastic aligners. This is a wonderful option for adults who could benefit from orthodontics but do not wish to wear fixed metal brackets for a year or more. Invisalign is a convenient, subtle, and comfortable alternative to conventional braces. Sometimes, a slight gap between the front teeth can be corrected with a less time-consuming treatment known as direct bonding. A composite resin made of smooth glass and plastic particles is placed on the side of the tooth and artistically sculpted to fill in the gap between. Just about everybody can undergo this non-invasive procedure — and it is also the most affordable option in cosmetic dentistry. Direct bonding is completed in one visit to your dentist’s office and can last for years to come. Patients who are willing to invest a little more financially in their smile may be interested in porcelain veneers in Carrollton. This treatment can fix a gap in the smile pretty simply — just by covering it up. Veneers are thin porcelain restorations that are affixed directly onto the front side of the teeth that show when you smile, and they are customized to match the precise size, shape, and shade that will suit your facial features best. With proper care and maintenance, dental veneers can be expected to mask the appearance of that gap between your front teeth for up to 20 years. Now that you know your options for correcting a gap between the front teeth, we invite you to schedule an appointment with your cosmetic dentist at Celebration Family Dental to learn more about which one may be best for your smile. During a consultation, we will examine your teeth and discuss your smile goals to put together a treatment plan that is suited just for you. We can’t wait to get started on your new, beautiful smile! Celebration Family Dental offers comprehensive dental services from the comfort of a state-of-the-art office. If you are ready to do something about the gap between your front teeth — or any other cosmetic imperfection that’s been bothering you — we’re ready to help! You are welcome to contact your cosmetic dentist in Carrollton at 469-892-6647 today.